Discussion in 'HYIP Discussion' started by All-HYIPs.info, May 15, 2018. The founders of our world-class cryptocurrency company got to know each other by using the same platform for buying and selling Bitcoins. As our cryptocurrency mining company and its user base grew, new mining farms were built up and several additional people hired, specifically programmers and engineers. The current members of our bitcoin mining team come from different scientific disciplines, but our common faith in cryptocurrencies has brought us together. We are all strong believers in the future of digital currencies and we love being part of this growing community! 23.05.18 10:56;Account;Receive;Received Payment 1.8 USD from account U15445680 to account U1294000. Batch: 215549951. Memo: API Payment. Withdraw to all-hyips.info from starkcoins.com. 23.05.18 10:53;Account;Receive;Received Payment 44.1 USD from account U15445680 to account U1294000. Batch: 215549607. Memo: API Payment. Withdraw to all-hyips.info from starkcoins.com. 24.05.18 11:45;Account;Receive;Received Payment 45.00 USD from account U15445680 to account U1294000. Batch: 215658970. Memo: API Payment. Withdraw to all-hyips.info from starkcoins.com. 26.05.18 10:55;Account;Receive;Received Payment 45.6 USD from account U15445680 to account U1294000. Batch: 215839260. Memo: API Payment. Withdraw to all-hyips.info from starkcoins.com. 25.05.18 10:09;Account;Receive;Received Payment 42.00 USD from account U15445680 to account U1294000. Batch: 215751010. Memo: API Payment. Withdraw to all-hyips.info from starkcoins.com. 27.05.18 06:38;Account;Receive;Received Payment 31.2 USD from account U15445680 to account U1294000. Batch: 215902501. Memo: API Payment. Withdraw to all-hyips.info from starkcoins.com. 29.05.18 10:45;Account;Receive;Received Payment 46.65 USD from account U15445680 to account U1294000. Batch: 216110618. Memo: API Payment. Withdraw to all-hyips.info from starkcoins.com. 31.05.18 10:13;Account;Receive;Received Payment 27.9 USD from account U15445680 to account U1294000. Batch: 216316704. Memo: API Payment. Withdraw to all-hyips.info from starkcoins.com. 30.05.18 19:05;Account;Receive;Received Payment 12.6 USD from account U15445680 to account U1294000. Batch: 216258088. Memo: API Payment. Withdraw to all-hyips.info from starkcoins.com. 30.05.18 11:52;Account;Receive;Received Payment 27.6 USD from account U15445680 to account U1294000. Batch: 216221080. Memo: API Payment. Withdraw to all-hyips.info from starkcoins.com. 29.05.18 21:43;Account;Receive;Received Payment 20.7 USD from account U15445680 to account U1294000. Batch: 216167779. Memo: API Payment. Withdraw to all-hyips.info from starkcoins.com. 02.06.18 12:18;Account;Receive;Received Payment 28.5 USD from account U15445680 to account U1294000. Batch: 216825564. Memo: API Payment. Withdraw to all-hyips.info from starkcoins.com. 01.06.18 21:19;Account;Receive;Received Payment 21.3 USD from account U15445680 to account U1294000. Batch: 216777881. Memo: API Payment. Withdraw to all-hyips.info from starkcoins.com. 01.06.18 10:01;Account;Receive;Received Payment 30.6 USD from account U15445680 to account U1294000. Batch: 216410981. Memo: API Payment. Withdraw to all-hyips.info from starkcoins.com. 04.06.18 09:04;Account;Receive;Received Payment 42.9 USD from account U15445680 to account U1294000. Batch: 216978686. Memo: API Payment. Withdraw to all-hyips.info from starkcoins.com. 03.06.18 09:50;Account;Receive;Received Payment 37.8 USD from account U15445680 to account U1294000. Batch: 216896771. Memo: API Payment. Withdraw to all-hyips.info from starkcoins.com. 05.06.18 12:19;Account;Receive;Received Payment 34.38 USD from account U15445680 to account U1294000. Batch: 217104553. Memo: API Payment. Withdraw to all-hyips.info from starkcoins.com. 07.06.18 12:49;Account;Receive;Received Payment 47.7 USD from account U15445680 to account U1294000. Batch: 217289043. Memo: API Payment. Withdraw to all-hyips.info from starkcoins.com. 08.06.18 09:53;Account;Receive;Received Payment 39.3 USD from account U15445680 to account U1294000. Batch: 217369794. Memo: API Payment. 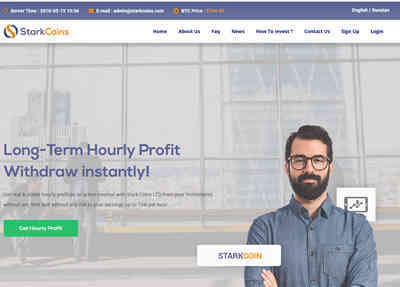 Withdraw to all-hyips.info from starkcoins.com.